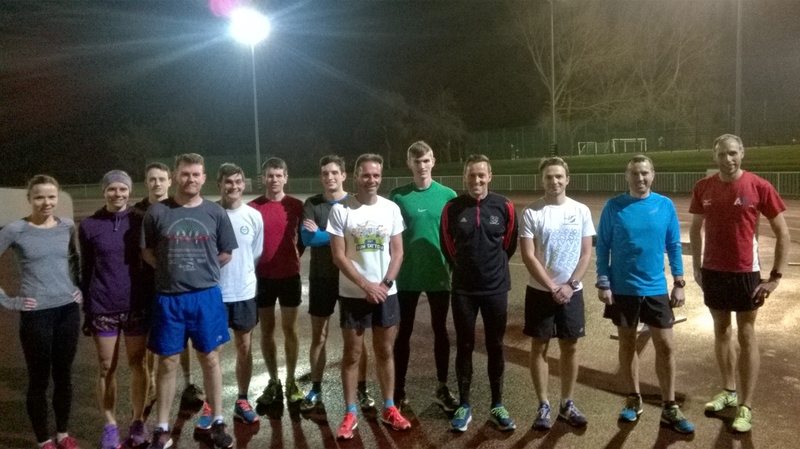 The senior distance running group is led by level 2 endurance coach Simon Fox. 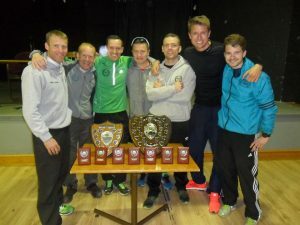 Our sessions are suitable for all distances from 5k to marathon but are geared towards training for key club distance running events such as the Borders Road Race League, cross country leagues/championships plus road relays. The group is mixed, currently mainly men, but ladies are very welcome as are any potential new members, ladies or men, who have a genuine ambition to improve their times and to compete for the club. The group suits anyone currently capable of running 10k in about 45 mins or less. Many regulars in the group have started at this level and are soon running sub-40 min 10k times! We train on: Mondays – meeting at the Oval gatehouse at 6.30pm, for a road (winter) or trail (summer) session; and Wednesdays – meeting 6.30pm at the Oval track for a track session. Sessions on Mondays can be hill reps, fartlek, tempo runs or, if we have raced on Sunday, just a steady conversational pace run. Wednesday track sessions include functional warm-up drills and can be anything from 200m or 400m speedwork reps; through 400-1000m VO2 Max reps, and up to 2000m fast tempo reps. All sessions last about an hour to 75 minutes in total, including warm-up and down. Non-members are welcome to come and try a couple of sessions for free before joining. Contact: Simon Fox (Level 2 Endurance Coach) email: simon.fox03@hotmail.co.uk Mobile: 07568 720 183. Wirral AC Men’s Team, winners of the 2015-16 Borders Road Race League.